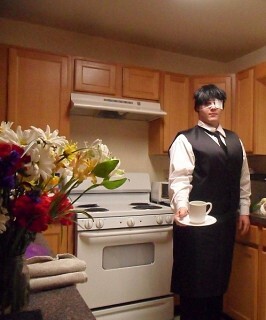 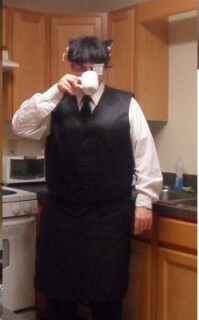 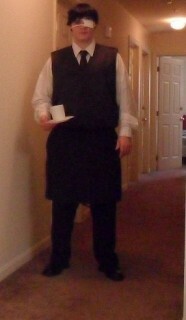 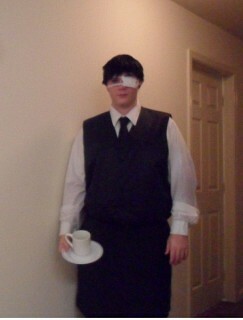 This is the version of Kaneki Ken, when he was working as a waiter at the cafe. 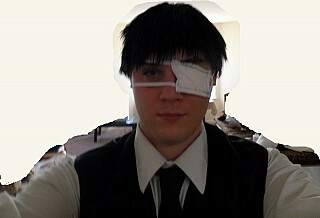 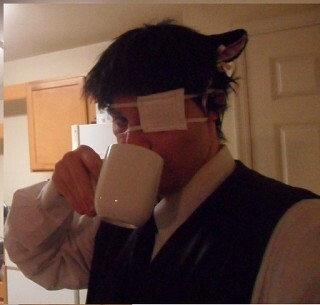 I made the eye patch myself, and I'm wearing make-up. 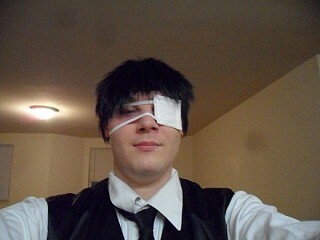 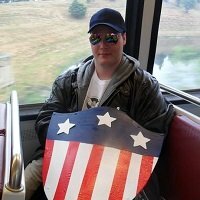 This is the first costume in which I have worn make-up, so it's pretty bad.